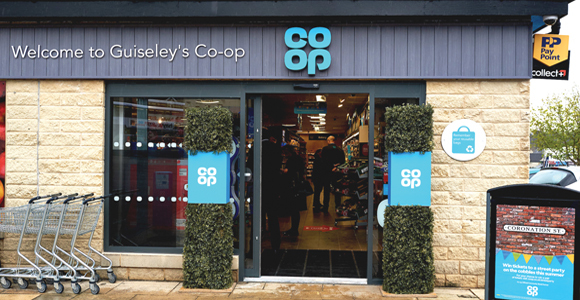 This expansion programme aims to create a significant number of new Co-op stores under its franchise offering, on top of its recent announcement to build around 100 new owned and operated stores this year. The franchise offering will be for independent retailers who share the Co-op values and principles to become part of the Co-op community, in addition to having access to its own brand products. Co-op franchisees will access a full service model, receiving support, tools and training to enable them to grow their business whilst share in the Co-op’s convenience success, which the company reports has seen over four-and-a-half years of consecutive like-for-like growth. The Co-op franchise stores will offer a wide range of branded and own brand lines. In addition, franchised outlets will provide shoppers with the same access to the Co-op’s membership scheme, which gives members a five per cent reward back on Co-op own-brand purchases and a further one per cent donation to local community causes. Prospective franchisees that do not have an existing store, but are an investor looking to develop more than one store and are interested in partnering with Co-op, email franchise.enquiries@coop.co.uk.